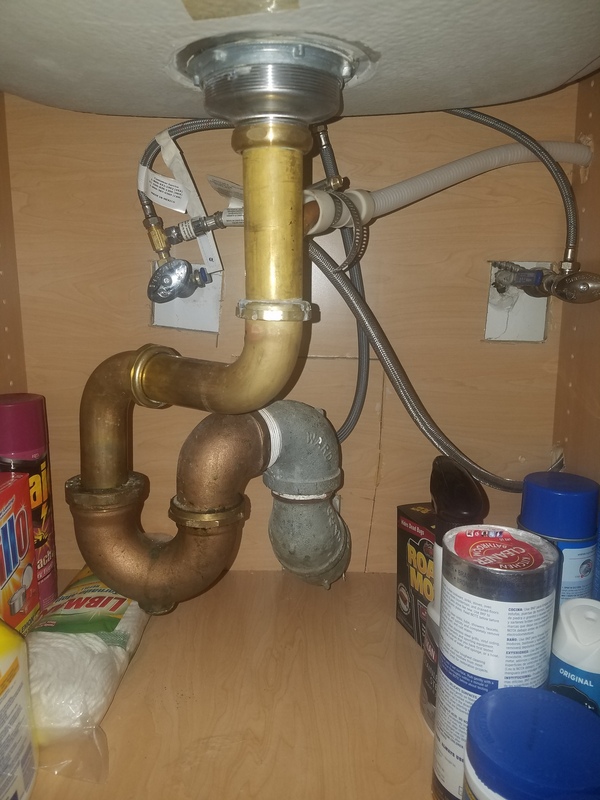 Could this S trap be causing sewer gas odor and drain backup? My apartment has been reeking with a foul odor for a while now. It seems to kind of vacillate between smelling like something died to smelling like a sewer. I'm about to approach my landlord about it but in trying to understand the nature of the problem i was reading about S Traps and how because of their design they could allow sewer gases to flow into a building. I also read that because of this issue they are illegal. This S Trap is in my kitchen where most of the odors seem to be coming from and my kitchen is directly behind my bathroom. As there are other plumbing problems occurring simultaneously, like dirty water flowing back into my bathtub, i'm wondering if this S Trap could be a part of the overall problem? Oh my. this trap isn't even an S trap, it's a rollarcoster trap. wow..funny, but not your issue. The reason for the P trap is to trap a little bit of water in the P where stop all air from moving up the pipe. You have a sewage backup issue. It's very possible this trap also does not trap water if you take off the trap you can see for yourself if it's full of water or not. The suction that S type traps create pull all the water out of the trap like a siphon leaving no water left to block air flow. I have one, i need to get around to fixing. It definitely does not cause any backup. What can I do about my drains constantly getting blocked? Why would my water taste like plastic fumes? Drains backing up - will it affect my drinking water? Does my vented septic tank even require traps and vents near the actual fixture connections? How to fix a poor plumbing installation resulting in severe odor problems?